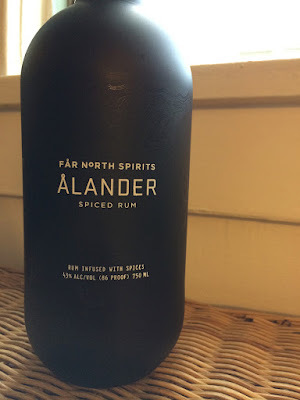 Alander Spiced Rum (43.0%): Well, I have to admit here that spiced rums never been an interest of mine. Don't get me wrong, I love rum and I absolutely have nothing against the spiced rum category but somehow I never had a chance to taste one that I really enjoyed... But that shouldn't stop me from trying and here we go again: A spiced rum from Far North Spirits sitting on my desk. 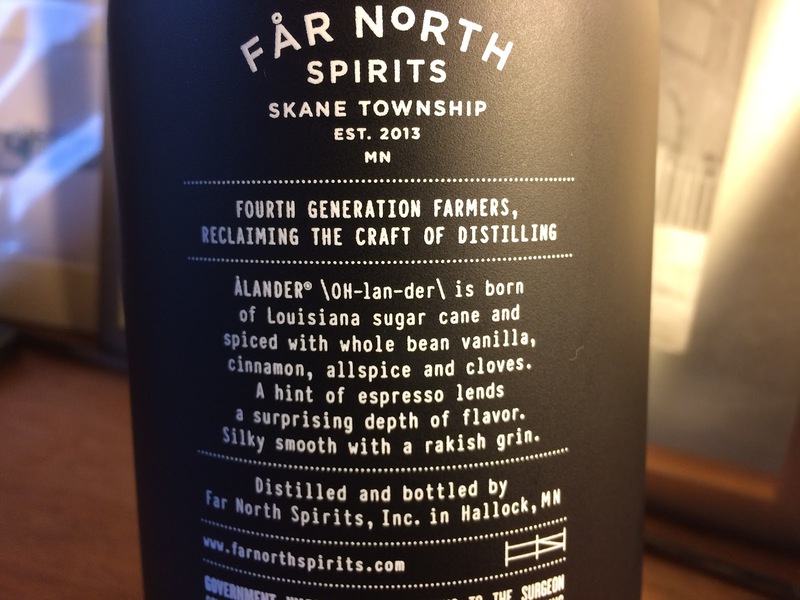 The label says that the spirit is distilled from sugar canes sourced from Louisiana and spiced with vanilla beans, cinnamon, allspice, cloves and espresso beans. Nose: Nice, at this point it is clear that it is not one of those syrupy and over-spiced rums I was afraid of tasting again... Very subtle nose. Butterscotch and butter toffee hard candies. Plastic shopping bags and cumin. After allowing it air for some time vanilla, cinnamon and nutmeg. Carrot cake with tons of cream cheese frosting and I mean tons of frosting... Milk chocolate, green grass and a quick walk-through Manhattan Macy's perfume department... Did I mention frosting..? Palate: Here are the spices... Cloves and cloves and more cloves on the palate.... Cinnamon, soft unsalted butter and vanilla extract. The label says espresso but what I am getting is more like a latte with a lot of steamed milk. Condensed milk from the tin, stainless steel lunch boxes and pumpkin beer. Finish: Kinda short if you don't count the young alcohol burn... More like a sudden drop. New make spirit, Sigg water bottles and cinnamon. Overall: Actually it has a very subtle nose and palate as far as the spiced rums go... Everything is nicely balanced, not overwhelmingly sweet and pretty tasty. Finish was a let down for me but I'll take it at this point. At the end I'll be honest here... This is mainly a whisky blog and I am definitely not the right target audience for this product but even I can see myself enjoying it on a hot day with lots of ice in a long drink... Or Dark 'n' Stormy..! Yes, it would make a killer Dark 'n' Stormy... It is also very fairly priced for my two cents. 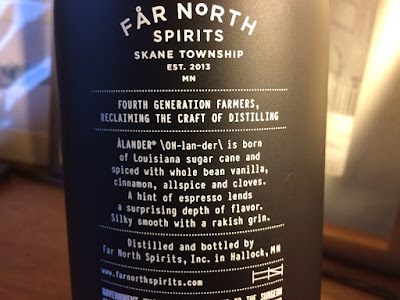 Thanks again to Cheri Reese from Far North Spirits for the official sample.